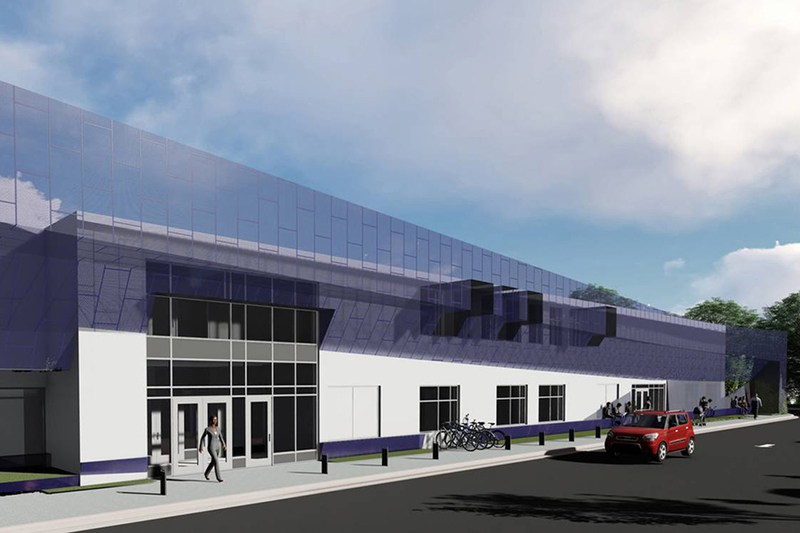 Collaboration and creativity are driving the plans for the University of Wisconsin-Whitewater Community Engagement Center and a new hotel on the city's west side. 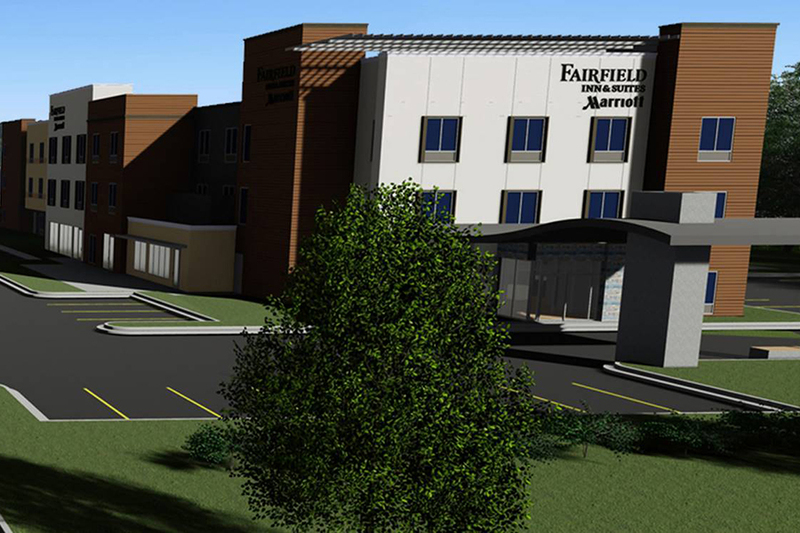 The site, located at 1260 W. Main St., will soon undergo a major redesign that will include the construction of a privately owned and operated 70-room, Fairfield Inn & Suites by Marriott hotel on the south side of the property. The existing 52,000-square-foot building to the north, which previously housed the former Sentry grocery store, is being leased to the university and will be transformed into a state-of-the art UW-Whitewater Community Engagement Center — a hub for faculty, staff, students and community members to engage in community-based learning, projects and research. Click here to view photos from the groundbreaking ceremony that occured on Wednesday, Sept. 12. "For 150 years, UW-Whitewater has been dedicated to serving our communities and we are proud to be a partner in bringing a hotel and the Community Engagement Center to the region," said Chancellor Beverly Kopper. "I want to express my appreciation to the UW-Whitewater Foundation, Inc., which previously owned the property and saw the potential for this space to serve both the educational and hospitality needs of the community. This project is an example of the outstanding cooperation between UW-Whitewater, the Foundation, the City of Whitewater, the developer — United Development Solutions — and the Wisconsin Housing and Economic Development Authority, which helped make the project a financial reality." The mission of the Community Engagement Center is in keeping with the Wisconsin Idea — that the people and resources of the university stretch beyond the boundaries of campus to positively impact lives across the state. "We envision this building as a place where everyone can collaborate to find creative ways to make a difference in our communities," Kopper said. "We will also expand and enhance our training and certification programs to serve even more students and adult learners." Business development centers that support entrepreneurs and business owners with consulting, market research, educational and other services. Safety lab to train future workspace inspectors on the proper safety techniques using hands-on experiences. Clinical suites for counseling, speech pathology and social work faculty and students to serve patients and clients. Art gallery and studio to display UW-Whitewater's permanent art collection, welcome visiting artists and provide archival storage. Computer testing center for students and community members to complete certifications and fulfill degree and licensure requirements. Continuing Education Services to facilitate adult outreach and training opportunities. In addition, the center will feature dedicated classrooms, meeting spaces, conference rooms and co-working areas to host training sessions, workshops, and other programming. "The Community Engagement Center is being redesigned with an architecturally industrial vibe that allows for innovative and flexible spaces," said Grace Crickette, vice chancellor for administrative affairs. "Some areas will feature roll-up garage doors so that visitors can see learning as it happens."